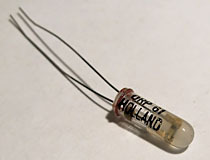 The ORP61, manufactured by Mullard, is a cadmium sulfide photocell in a tiny tubular package. 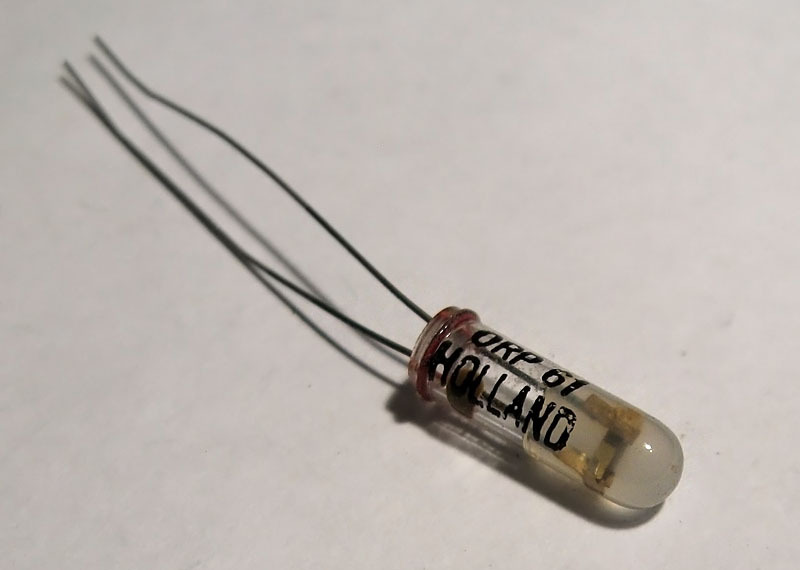 The clear case of this device mimics the shape of many earlier transistors manufactured in Europe and Great Britain, a fact which causes many collectors to mistakenly identify this part as a diode or transistor. The strange internal construction of the ORP61 does little to help in identification; this part lacks the typical serpentine pattern of the average photo-resistor, instead a translucent block is bonded across two leads at the head of the device. The ORP61 has a nominal resistance of 60kOhms and a maximum power rating of 70 mW at 350 volts DC.